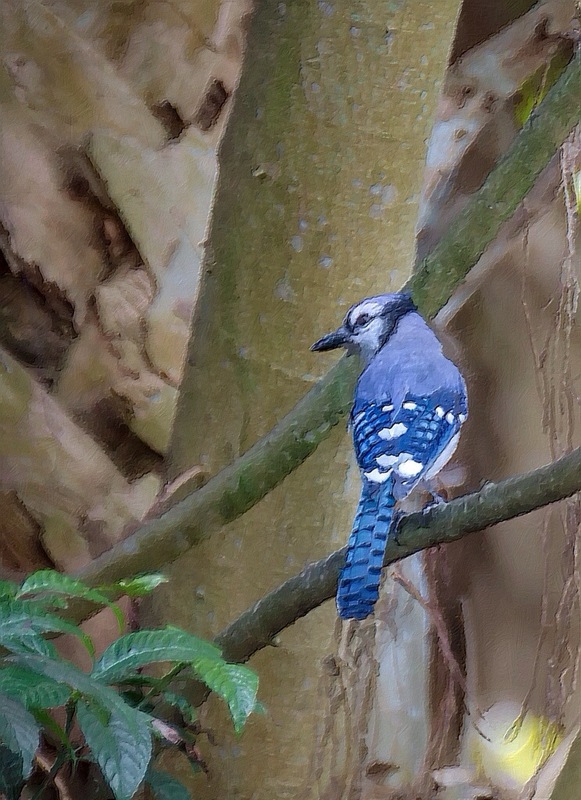 To give the photo of the blue jay a little creative boost, I cropped and used JixPix (oil painting) software – seen in the second image below – and I really like how it turned out. The first image is the original capture. And I’m posting this using my iphone 5. How cool is that! 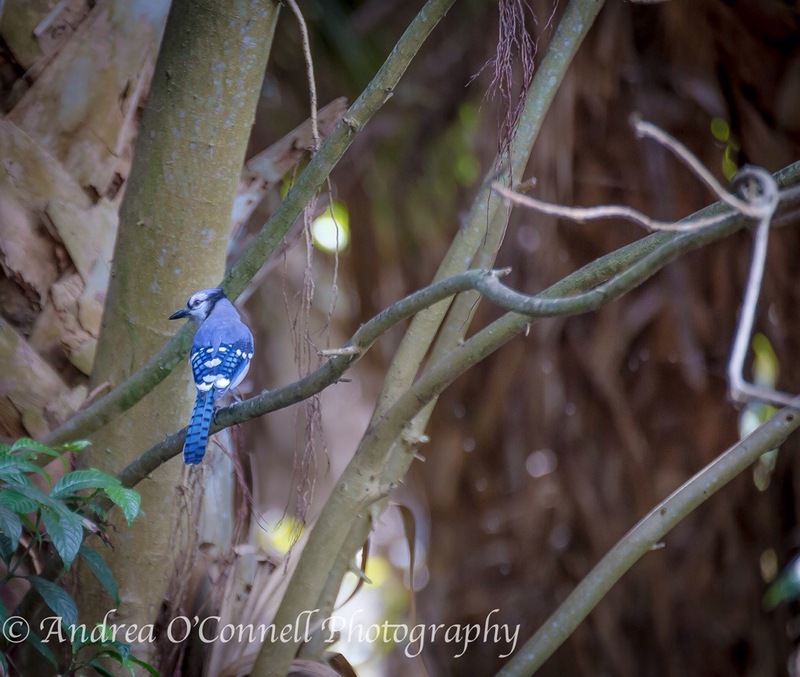 Blue Jays are a beautiful species. I love the fact that the blue we see does not mean their feathers are blue.